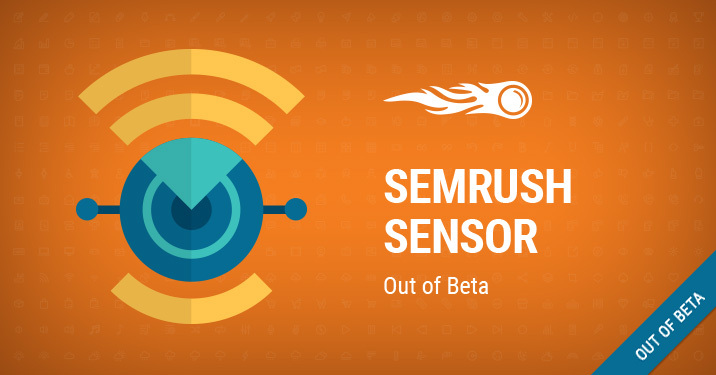 Thanks to your valuable feedback over the last ten months during the beta stage, we are excited to announce that SEMrush Sensor grew steadily and is now officially out of beta! But wait, there’s more than that! Today we’d also like to share with you our new functionality that gives you a clearer picture of what’s going on in Google mobile search results in particular. What exactly does Sensor give you? In a nutshell, the service is designed to track Google SERPs’ volatility and warn you of possible Algorithm changes on a daily basis. Let’s now dig more into the details to find out what benefits and new functionality Sensor offers now that it’s rolled out of beta. For each of them, a separate Sensor score is available for desktop and mobile search results. By default Sensor shows data for the current date; however, you’re free to select any date within last 30 days. 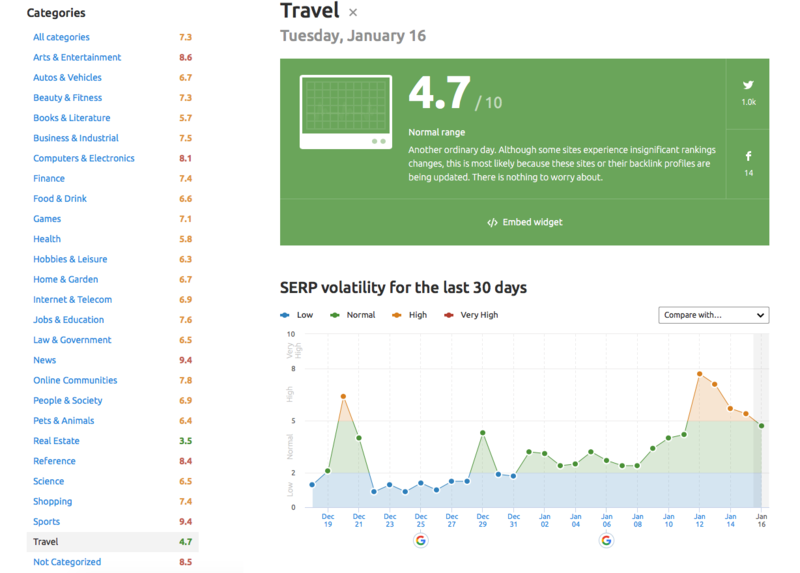 The most important thing included in the service is the Sensor score, which indicates the current level of volatility of Google SERPs. If the score is high, this probably indicates that Google’s Algorithm has undergone significant changes. However, the changes might affect certain industries stronger than the others. This is why Sensor allows you to track a specific category you're interested in and find out how hard it was affected by recent updates. 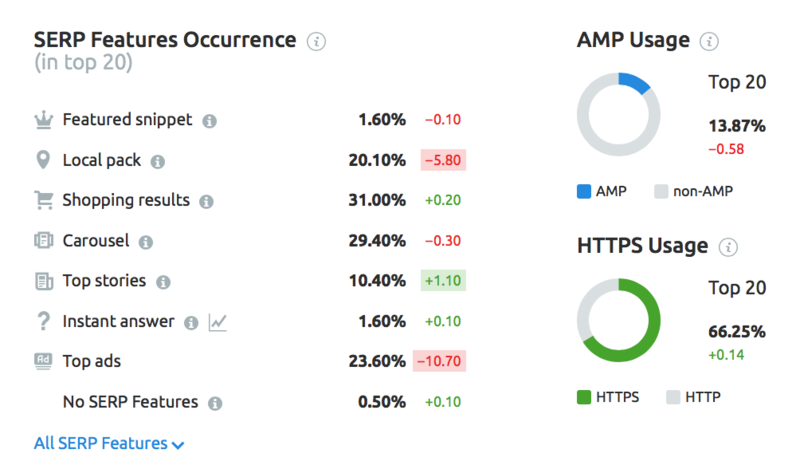 The brand new AMP Usage and SERP Features Occurrence features show the popularity of AMP pages and SERP features across all databases and categories, respectively. In light of Google’s recent focus on mobile search, these come in handy for keeping an eye on the latest trends. The most relevant information for your website is reflected in its Personal score, which lets you track ranking fluctuations of the exact keywords you’re interested in. To get this data, be sure you have a project setup in Position Tracking. The Deviations chart shows you which categories are relatively more unstable on a given day compared to the average monthly SERP volatility, which gives you a broader perspective on a particular category volatility trend. For each domain that is tracked by Sensor, we calculate the average movement of URLs in the Google top 20 search results. 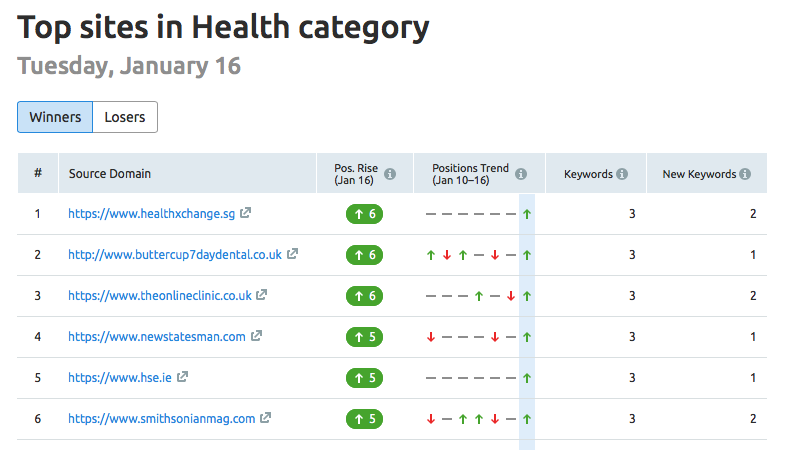 The Winners and Losers chart presents you with the most affected domains daily. Tell us about your experience using Sensor and send your ideas on how to improve the service to [email protected], and as always stay tuned!